Car-free, family-friendly Braunwald above the Linth Valley in the Glarus Alps is one of the easiest resorts to get to from Zurich, and is ideal for day out or a short break. 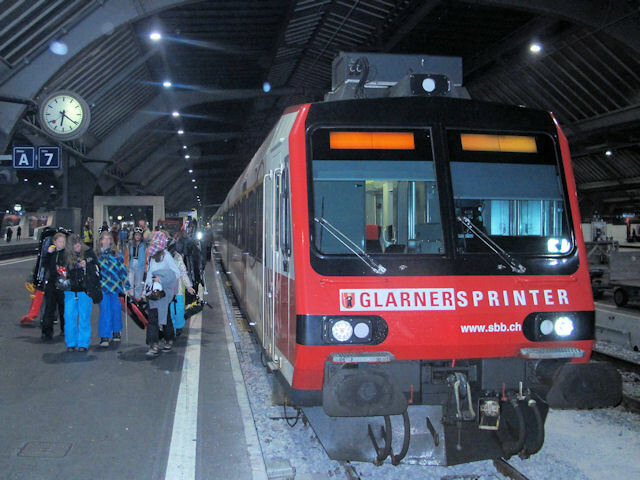 The Garner Express, with trains from Ziegelbrücke and sometimes direct from Zürich, stops at Linthal Braunwald from where a funicular railway (one of the steepest in the world) takes you into the heart of the village and a couple of hundred metres ski from the bottom gondola station. 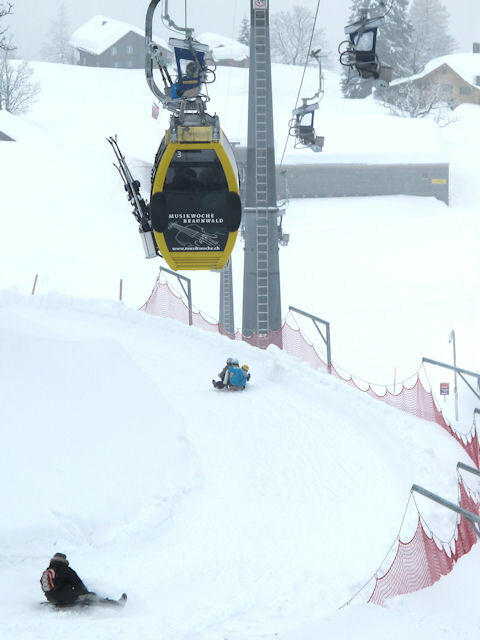 The gondola system in Braunwald is quite unique - one section has pairs of gondolas and the next has quads of gondolas that move around in a pack. Further up the mountain a couple of antique chairlifts are supplemented by a bizarre but effective system of combined gondolas and sideways-facing chairlifts. Small and relatively low, the mostly South-facing pistes are good for beginners and intermediates but there is plenty to keep the more experienced occupied off-piste provided the snow cover is good. And despite being relatively low, snow cover is generally good, since Braunwald reputedly gets the most annual snowfall of anywhere in Switzerland. The resort attracts a lot of snowboarders and for good reason: it is possible to get around the resort without using surface lifts, the lift pass is very competitively priced, there are virtually no flat sections, it has acres of excellent off-piste and there is a popular backpacker hostel in the village. The family hotel in the village is highly regarded too. 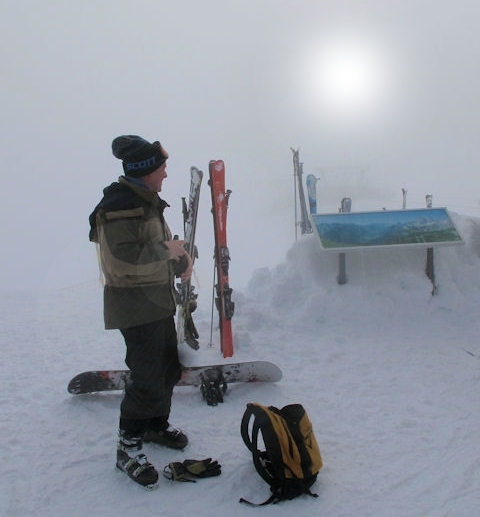 The resort is also very popular with tobogganists, with two dedicated, 3km toboggan runs. Despite the beautiful views across Glarnerland towards the Tödi and Ortstock mountains and the extensive range of winter sports activities available so close to Zürich, Braunwald is rarely crowded, even at weekends.
. In its modest, small way, in a very gemütlich manner, Braunwald provides everything from gentle to steep ski-ing... There is touring as well." The nearest airport to Braunwald is Zurich. There is a railway station in the airport. From Gumen there is an 8k run back into Braunwald with lots of off-piste variants along the route down. The best destination to access the downhill slopes by public transport in this ski area is Linthal Braunwaldbahn. Station adjacent to cable car into Braunwald. Märchenhotel Bellevue, Braunwald (4*) Family hotel. Did you ski Braunwald or snowboard in Braunwald? What did you think? Have you taken the train to Braunwald? 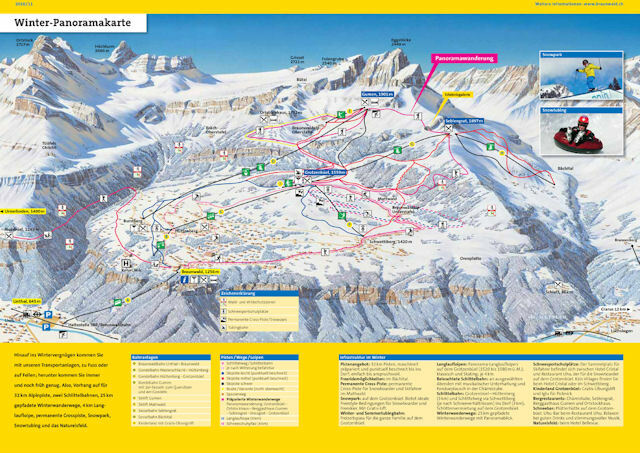 Do you have any tips on accommodation in Braunwald or the apres ski? Is there anywhere else you have taken the train to ski? if so, please contact us and share you experiences using the contact link at the foot of the page. For more details on Swiss resorts visit our sister site at Swiss Winter Sports.